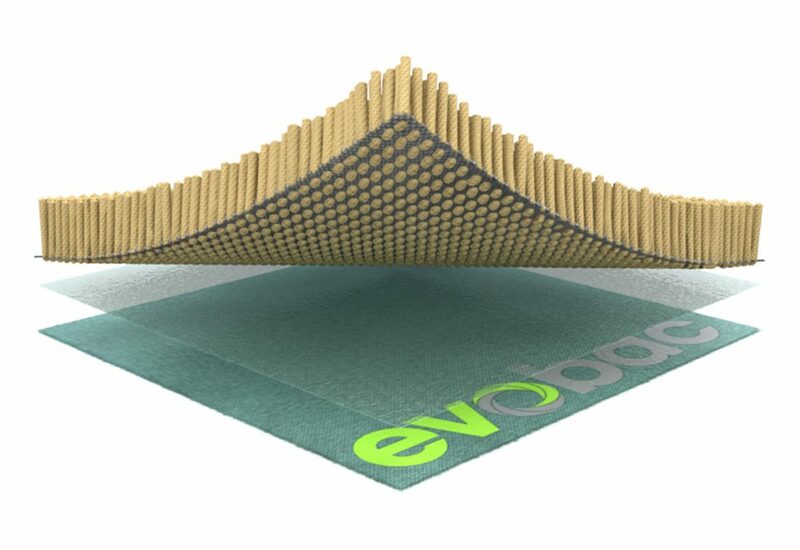 "company launched a revolutionary carpet secondary backing system, ‘evobac’, produced from 100% recycled plastic bottles". Family owned and operated company, Newhey Carpets is one of the UK’s leading manufacturers of contract carpets for the hotel, leisure and entertainment sectors. The environment has been top priority for Newhey for many years and in 2013 the company launched a revolutionary carpet secondary backing system, ‘evobac’, produced from 100% recycled plastic bottles. Today the company is pleased to announce that all of its products are now manufactured with this sustainable backing system. Evobac presents a totally unique, low energy sustainable secondary backing solution and is suitable for a wide range of applications. This ground-breaking innovation has already been used by many well-known companies seeking the ultimate in sustainable, high performance carpets, including Costa Coffee and Park Inn Hotels.